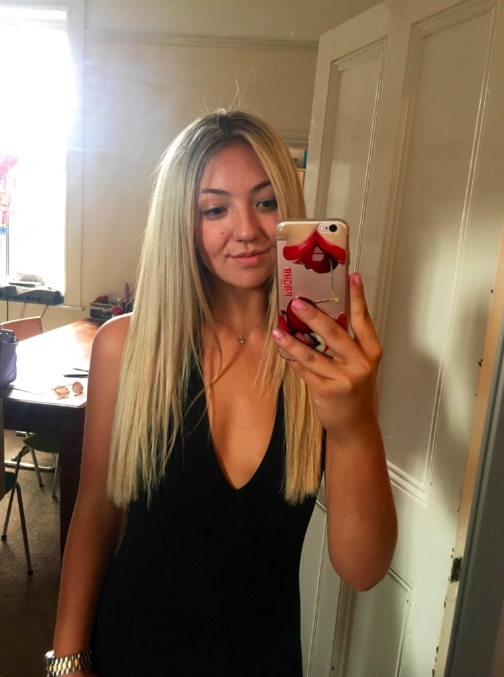 So it's no secret that I'm not a natural blonde, and because I regularly get highlights I like to look after my hair to maintain the colour and avoid breakage. 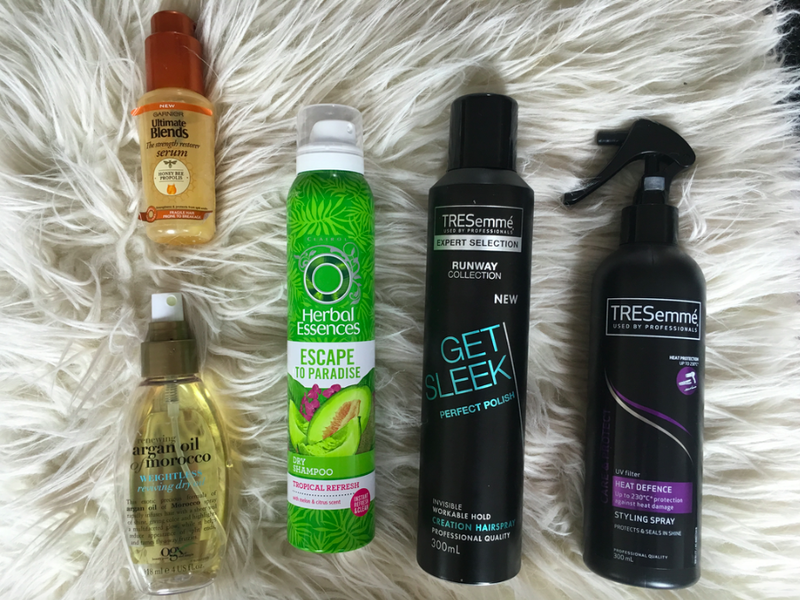 I think its important to use the right products if you're trying to grow your hair longer or bleach/colour your hair often. I like to get highlights every 10-12 weeks, either a full or a half head of foils and then every other visit I'll get a cut as well. Of course it's really important to keep trimming your hair if it's length you want, otherwise your split ends will just work against you. Recently I've asked my hairdresser for quite a blunt cut, without layers but just some shape towards the front which I'm really really pleased with. I also like to get a couple of different shades of blonde put through it as well as an ashy light brown just to break it up. 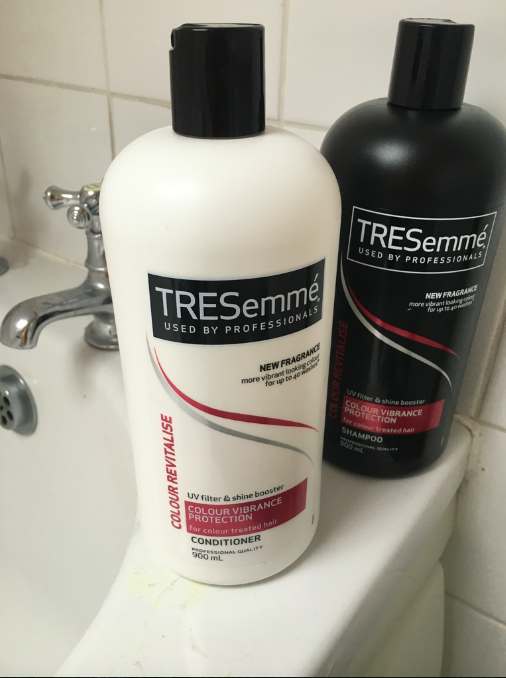 For shampoo and conditioner, I use a colour protect one duo by Tresemme, because its cheap for a huuuge bottle and its actually good. Every so often I'll use a silver shampoo for toning up my hair colour because I like a very cool toned blonde. My hairdresser recommended this Joico one and the matching conditioner. This is the one she uses on me and I'm gonna take these mini's on my holiday with me. I love using hair masks as well, usually every fortnight - just because dyed hair can get so dry. I love the smell of the Aussie 3 minute miracle one. 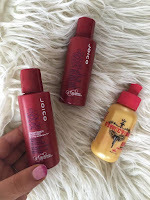 After I wash my hair, I use the Joico Animate Styling Cream, which is kind of an everything in one product. It's a moisturizing cream that boosts body and prevents breakage, and its got heat protectant in it as well. 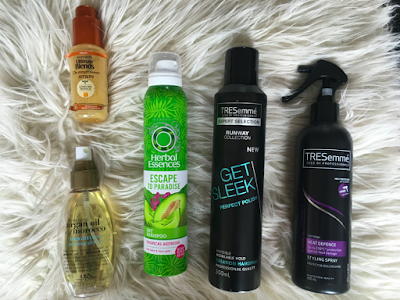 Then I'll spray through some Tresemme Heat Defence Spray because I use quite a lot of heat on my hair. I'll then blow dry it and I usually straighten it most days. Once it's straight I'll literally put in loads of hair serum, I'm so obsessed because it makes my hair feels so soft, as long with my hair oil which I really like because it doesn't feel too heavy on. To finish I'll spray it all with the best hairspray ever which is also Tresemme, I like it because it doesn't go crispy or feel sticky. And of course for day-old hair, dry shampoo is key. At the moment I've got this Herbal Essences one because it was on offer and it's smells yummy and does the job. My favourite one is still the Batiste Blonde one because it works as a root cover up as well, for when my dark brown hair is showing.